Newborn Madilyn Grace arrived at 24 weeks—16 weeks before her due date—and weighed one pound, 10 ounces. Her lungs were undeveloped, and she needed mechanical ventilation to help her breathe. She needed a miracle. 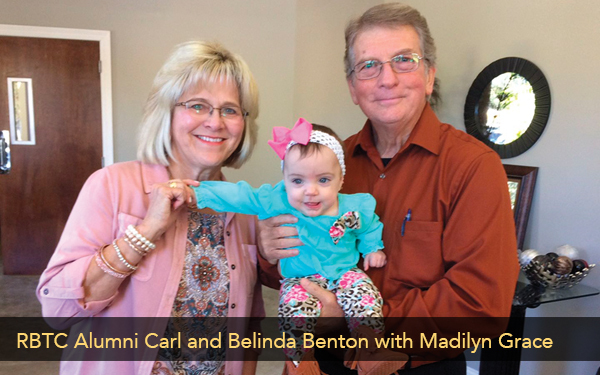 Madilyn's parents were full of faith thanks to their pastors—Rhema grads Carl and Belinda Benton. They taught the young couple faith and how to believe God for miracles. The baby was born on a Sunday, and the mom was in church the following Sunday. She and her husband continued feeding their faith and stood on the uncompromising Word of God. Madilyn's parents, the Bentons, and the church family believed God to heal baby Madilyn Grace. You can be a part of stories like this. International Rhema Day gives you the opportunity to help train more men and women to preach the Good News of Jesus Christ. Many people around the world need miracles. And you can help change that! International Rhema Day is May 6. Your gift is felt wherever our graduates go. Click here to give a gift.